Like everyone else I have jumped on the Gatsby train, and I'm going to see it tonight and am really excited to see what Baz Luhrmann has done with the story. Since its more of a modern adaptation the makeup and hair aren't as drastic as the look of the times was. 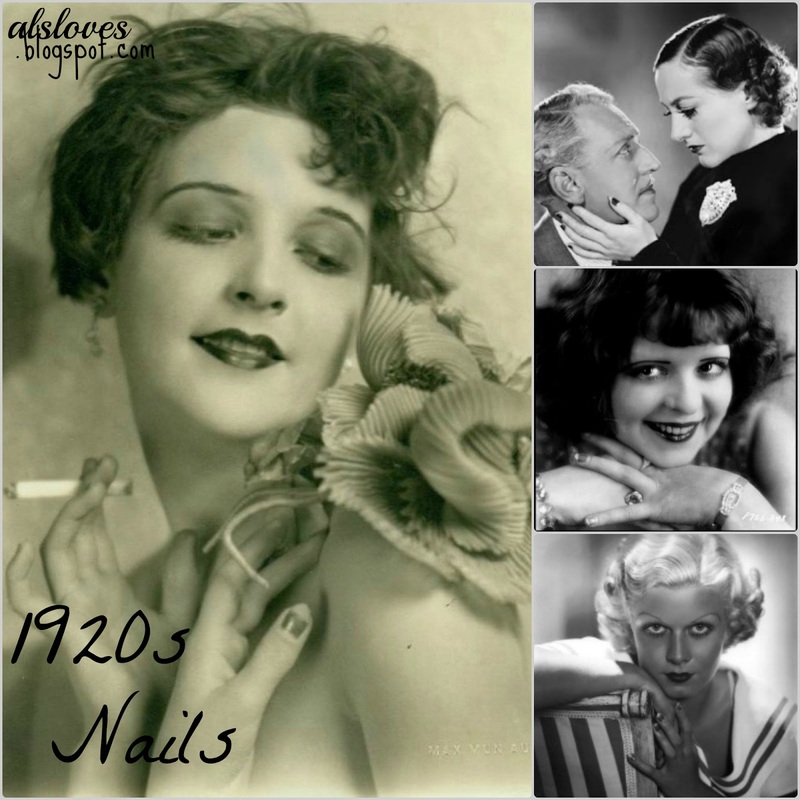 Clara Bow (the main picture and middle of the collage above) is who I picture when I think about the characters and since having down turned sad eyebrows and the exaggerated lips looks a little crazy for everyday looks, the nails are my favourite to recreate from the era. 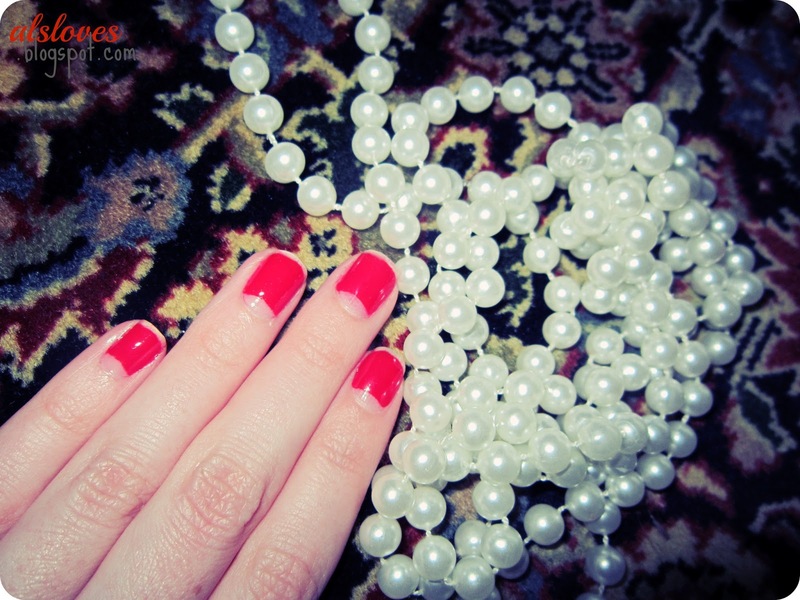 In the 1920s and 30s women would paint their nails and leave the moon shape at the base of the nails and tips which was a status symbol (since it took me the length of a documentary to do this) so women would of had to pay to get their nails manicured but it also wouldn't chip because those are typically the first place to chip. Clever these ladies were! 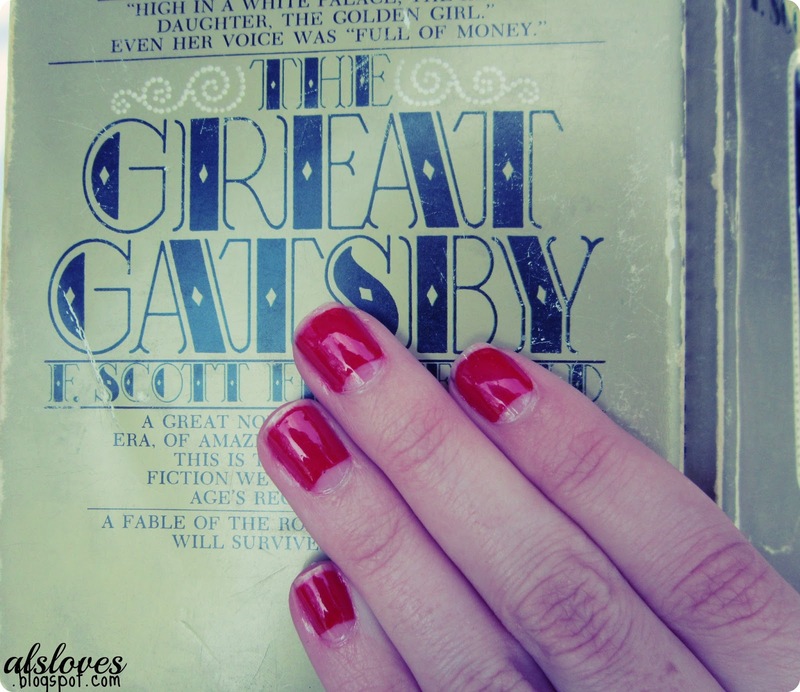 These nails look best on almond shaped nails a la Dita Von Teese, but I love the look so much, especially painting the full nails and leaving the moons on the bottom. I hope you liked this little adaptation, it was fun and looking into the history of cosmetics has become one of my favourite things to do!